Day one of the weekend-long Cruising Yacht Club of Australia (CYCA) Trophy Series was underway today with a super competitive line-up making the start on Sydney Harbour. The CYCA Trophy is the last major offshore hit-out for crews preparing for the 628-nautical-mile challenge to come on Boxing Day and with fresh summer nor ‘easterly conditions today, is reminiscent of so many Rolex Sydney Hobart Yacht Races throughout history. 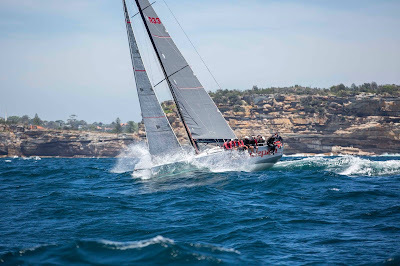 Marcus Blackmore’s TP52 Hooligan from Royal Prince Alfred Yacht Club led the fleet out of Sydney Heads followed closely by interstate entrant Hugh Ellis’ RP63 Voodoo representing the Ocean Racing Club of Victoria. A little further back Seb Bohm’s Rogers 46 Smuggler, a CYCA racing stalwart, raced head-to-head with Bob Cox’s DK46 Nine Dragons from Middle Harbour Yacht Club on their way out of Sydney Heads. 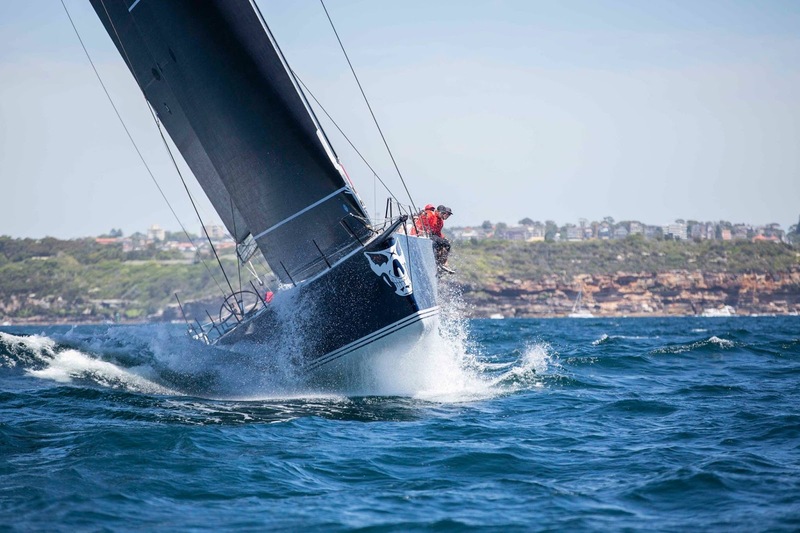 Bruce Taylor’s Caprice 40 Chutzpah, another interstate entrant representing the Royal Yacht Club of Victoria, will be one of the crews looking to get a feel for Sydney conditions leading in to the Great Race. 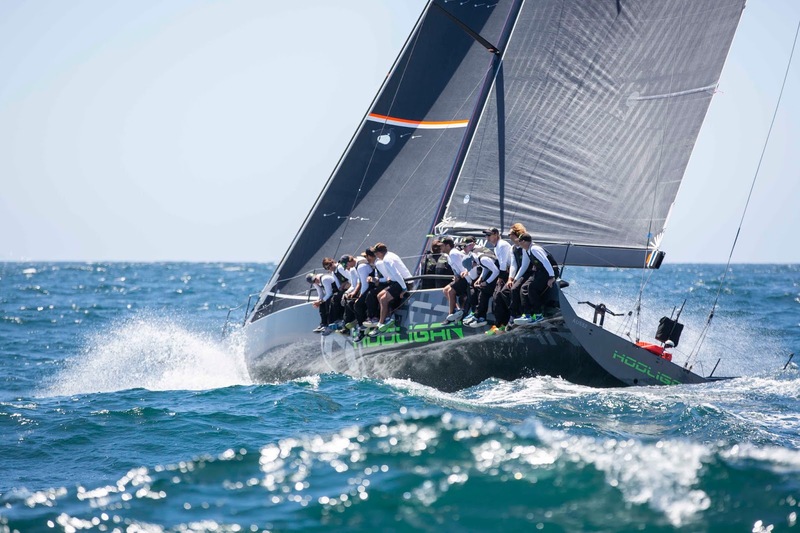 Taylor’s long-term crew are all Rolex Sydney Hobart veterans, however they are yet to step to the top of the podium – something that Taylor, after claiming the Overall Win in this year’s Noakes Sydney Gold Coast Yacht Race, very much has on his radar come Boxing Day. Les Goodridge’s X50 Wax Lyrical is one of a host of challengers in the CYCA Trophy Series who are fresh from competing in the first five races of the Audi Centre Sydney Blue Water Pointscore. Taking the challenge to them is fellow Audi Centre Sydney BWPS competitors in Charles Cupit’s Sydney 47 Wot’s Next, Tony Walton’s RP46 Hartbreaker and Mark Gorbatov & Mark Siebert’s Beneteau First 40 Blink. And bringing up the rear of the fleet as they head for the open ocean is the first yacht to have ever raced to Hobart 25 times, the S&S 39 Mark Twain. Now under the ownership of Michael Spies and representing Hamilton Island Yacht Club, the historic boat will once again make its pilgrimage to the Apple Isle this year, this time with a crew boasting over 150 Rolex Sydney Hobart Yacht Races between them. It was down to the wire with Hooligan and Voodoo at the finish for line honours, but it was the TP52 Hooligan that took the win in IRC Division 1 in today's race. Smuggler is sitting in second ahead of Voodoo in third.